Halcombe Norilsk: The Kills, Ash and Ice. 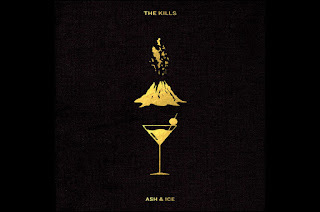 The Kills, Ash and Ice. Ice and ash refers to the habit of Jamie Hince who started writing a song but he only came up with the title "Ice and ash" as he is more focused on the sound than on writing lyrics. Soon thereafter, he was back to his usual duty, drinking and smoking, after every cigarette he put the stub on an empty glass, the cigarette perhaps it was not tobacco and the glass perhaps was not full of soda but the funny fact is that, ash references to that dead cigarette and ice to the empty glass he leaves. Alison Mosshart decided to use the title for the whole album as there were no lyrics for the song. Alison Mosshart by contrast, spends plenty of time writing the lyrics. She went to a place called Whidbey island on the coast of Seattle, she spent ten days with no Internet, no television nor mobile phone, she was writing alone, she was reading as well the book The Heart of a dog, even though it has nothing to do with the story on the play she used the title writing a song about having a loyal heart as good as the one dogs are possessed with. Heart of a dog and Doing it to death are the two more important songs on the album thus far. The Kills are to be touring the world throughout 2016. The Kills offers a bounteous reward to those who see them thereby there is a great opportunity of enjoying them live. Jamie Hince has had his 6th operation in one of his fingers hence his way of guitar playing has changed dramatically. Alison Mosshart undergo surgery on a knee too, she also contributes to one of the bands of Jack White, The Dead Weather, discover which song by The Dead Weather was selected amongst the best rock songs of last year. Alison Mosshart. Do share, rate and comment this post about The Kills. As you like it. William Shakespeare.